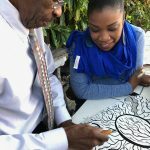 Building and supporting the community is the driving force behind an artistic movement dedicated to celebrating and interpreting Bahamian traditions. This is what will make the Historic Nassau venue at Hillside House – one of the stops along this weekend’s Transforming Spaces (TS) 2018 tour – distinctive and memorable. The collective imaginations and talents of University of The Bahamas (UB) faculty, staff, students and alumni will transform the space, steeped in history, into an engaging and interactive enclave for live art, literary and musical performances, educational experiences, and creative workshops from 16th to 18th March. 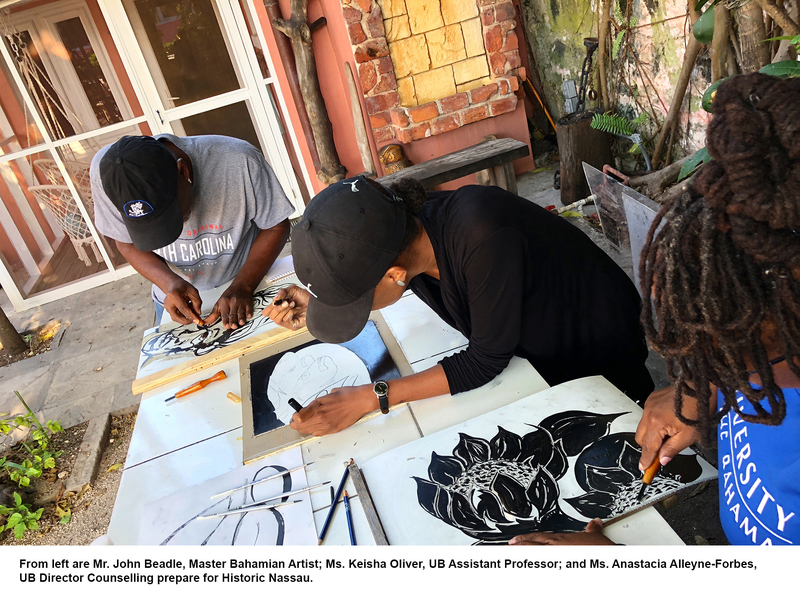 Curator of the Historic Nassau space, UB Assistant Professor and Visual Arts Programme Coordinator Keisha Oliver, is working with Master Artists Antonius Roberts and Maxwell Taylor to bring the artistic vision to life. Such a collaboration is sure to produce remarkable results. Enthusiasts of Bahamian art and culture will have the opportunity to view and participate in a cornucopia of fine art and craft offerings and engage in meaningful conversations with creative leaders and innovators. On display will be over 40 paintings, sculptures, ceramics, as well as mixed media, photography, printmaking and poetry exhibits. A variety of fine art and craft items made by students, staff and alumni will be on sale at the Hillside House courtyard including a feature collection of fine woodwork crafted by Dr. Danny Davis, UB’s Assistant Vice President of Institutional Strengthening and Accreditation and handmade jewellery by alumna Allia Dean. On Friday, 16th March, Shift The Culture, a collective of Bahamian creatives with a passion for community, craftsmanship, and collaboration, will host a ‘creative entrepreneur’ panel discussion beginning at 6:00 p.m., providing a platform for networking and professional development. On Saturday, 17th March beginning at 10:00 a.m., iCreate Music will host a ‘music panel’ discussion featuring contemporary Bahamian artists and producers in the local music industry who will share insights on their successes, critique music by upcoming artists/students, and discuss challenges facing the industry. On Sunday, 18th March, the Hillside House venue will showcase culinary and literary arts including a ‘community read’ at 11:00 a.m. hosted by UB’s Blue Flamingo Literary Festival team, a ‘conch salad competition’ hosted by Popeye The Conch Celebrity beginning at noon, and a ‘poetry night’ hosted by The Tingum Collective, beginning at 6:00 p.m.
UB’s Visual Arts Department is also hosting a series of art workshops in drawing, print-making, and book-binding that will give participants a taste of the institution’s programmes. Space is limited. Historic Nassau is also exploring the sub-themes of Foresight, a student exhibition of contemporary responses to historical moments and This is Remembering, a UB alumni, staff and faculty exhibition devoted to celebrating the social and cultural narrative of the places, people and objects that define The Bahamas. As a prelude to the 2018 Transforming Spaces writers and artists were selected to be apart of a project that focused on community and collaboration in print. The Tingum Collective worked with writers and poets to produce a collection of poems that reimagine history and confront social dilemmas. “We wanted this year’s UB representation to be unlike past years where the focus was to primarily engage the visual arts. 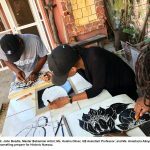 With guidance and support from Master Bahamian Artist Antonius Roberts, we designed an experience rooted in community and collaboration across a variety of creative disciplines. In partnership with Hillside House, UB has used the 2018 TS platform as a means to identify the institution as a community that brings together and honors the talents of its students, staff, faculty, and alumni,” she said. TS 2018 will feature four galleries: D’Aguilar Art Foundation (DAF), Doongalik Studios, Hillside House, and for the very first time, The Current: Baha Mar Art Studios. Are $35 and available at National Art Gallery of The Bahamas, Doongalik Studios Art Gallery and The Place For Art.